A critical and challenging portion of the Beltline — easily the most exciting and the largest urban redevelopment program in the country — that passes through Buckhead is moving forward, Atlanta Beltline Inc. announced this week. 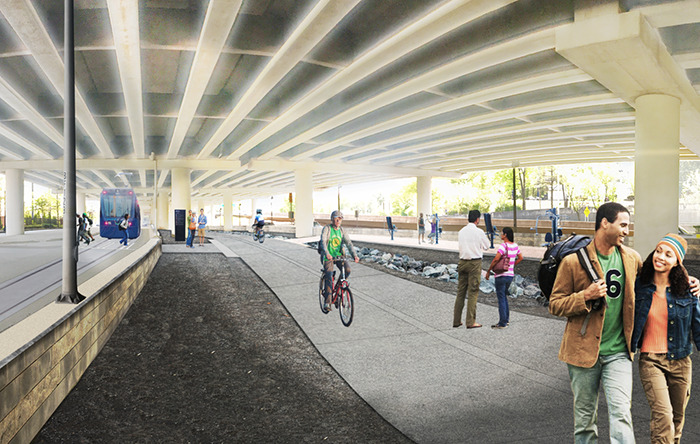 It has committed $4 million to Heath & Lineback Engineers, Inc. for the design of the Northeast Corridor, which will connect Monroe Drive and the MARTA Lindbergh Station. The neighborhoods that will benefit the from this stretch are Peachtree Hills, Piedmont Heights and Morningside/Lenox Park. It is challenging because it passes through the active rail corridors around Armour Yards as well as Interstate 85. But don’t get too excited, as the work is expected to take up to two and a half years. It is excellent news for what is for all intents and purposes one of the most tangled portions of the 33-mile loop trail around Atlanta. It will eventually tie into the Tanyard Creek/Memorial Park portion by following Peachtree Creek and crossing under Peachtree Road near the Shepherd Center. The Northeast Corridor Trail is an important sector of the overall trail that will create connectivity to the intersecting trails of PATH400, North Fork Peachtree Creek (via the Cheshire Farm Trail), and South Fork Peachtree Creek. It is being developed by Atlanta BeltLine, Inc., in collaboration with Invest Atlanta, the City of Atlanta, the Georgia Department of Transportation and the Federal Highway Administration. We here at Dorsey Alston have experienced first-hand the Atlanta Beltline’s impact on Atlanta’s neighborhoods. It is a huge selling point, as people want to be closer to parks and to alternative transportation options thanks to the never ending and aggravating traffic. Take a look at the rendering and let us know what you think below! And, of course, community engagement is currently underway to provide project updates. Future public meetings will be scheduled to receive feedback on the design. For more information, visit www.beltline.org.